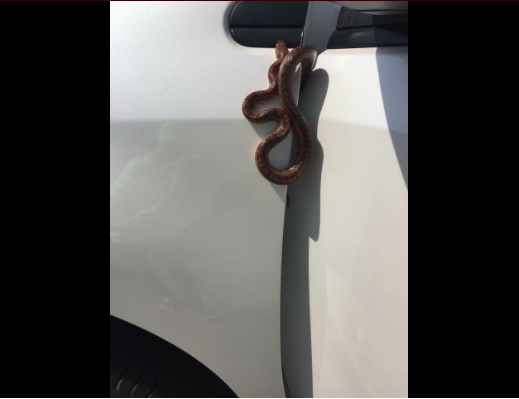 This woman almost crashed her car when an unsuspected slithery snake came out of her car ventilator. 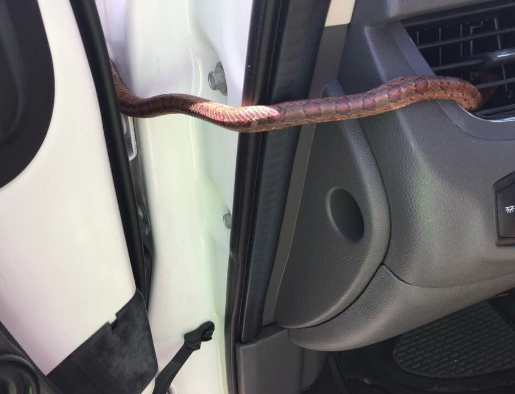 This poor woman almost crashed her car when a sneaky snake came out of the air vent. 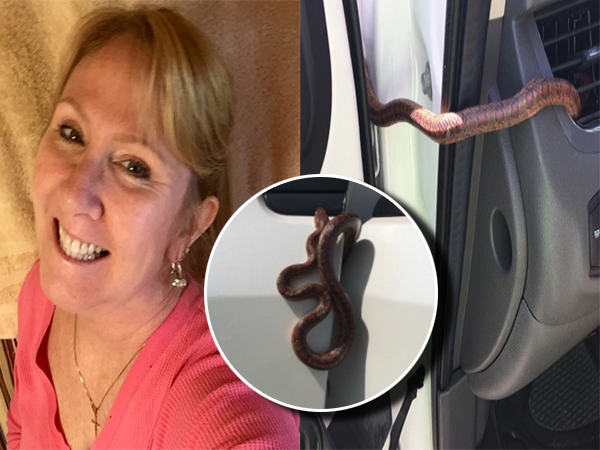 Florida resident Monica Dorsett was driving on a four-lane highway when something moving near her left hand caught her eye. "It took me a second to realise — that it's real," she told Buzzfeed News. She managed to pull over and immediately called her husband who came and "handled the situation", after she slammed the door on the body of the snake as it was trying to get out. Now poor Monica gets really anxious when driving, and constantly finds herself checking the air vents. Her daughter Kristina shared images on Twitter and reactions to Monica's harrowing experience have been pretty hilarious. Some folks have even sworn they'll never get behind the wheel again. And these tweeters just wanted her to tell them it's a joke. Although this situation has gone viral, this is not the first time it's happened. This man had a snake slither through his ventilator about three years ago. Luckily, he lived to tell the tale. I'm a 68 year old man looking to meet women between the ages of 55 and 63. I'm a 35 year old woman looking to meet men between the ages of 36 and 50.